‘Mandela Effect’, which may actually be caused by small glimpses of an alternative universe. Are we living in alternate realities? Or has our reality, our timeline been changed? At one point or another split in two or are we now just noticing the effects and the changes of this split? There has been a lot of talk recently about something called “The Mandela Effect”. So what is actually the Mandela effect? 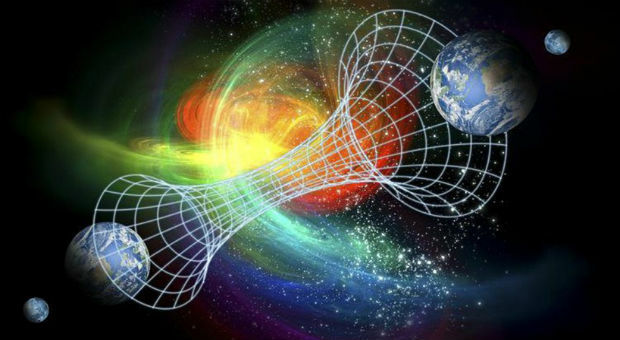 It is a theory of parallel universes based on the idea that large groups of people have been found to have similar alternative memories about past events. Advocates of the theory claim these collective experiences to be true. The fabric of reality must have been shifted at some point in the past and therefore, not only the parallel inhabitable universe exists but that we are constantly switching between them. The Mandela effect was first descried online in 2010 by a blogger named Fiona Broome. She described an experience at a convention called The Dragon Con when she discovered that other people had a false memory similar to hers which was that Nelson Mandela had died during his imprisonment in the 1980s. Nelson Mandela actually didn’t die until December 2013 but there is a lot of people out there who has memories of him dying when he was locked up in prison in 1980s. Broome is quoted as saying that “I thought Nelson Mandela died in Prison. I thought I remembered it clearly with news clips of his funeral, the mourning in South Africa, some rioting in the cities and a heartfelt speech by his widow. I then found out that he was still alive”. Fiona recounted discovering many widely held alternative memories including certain Star Trek episodes that had never actually existed. In 2012 another blogger named Reece expressed a similar idea but this time about the spelling of a popular children books series called “The Berenstein Bears” but if we look it online now it has changed to “The Berenstain Bears”. If the readers are kids of the 80s or 90s they may also remember the original name and can spot the difference. There are plenty more such subtle changes noticed by people. People who have known these names and logos for years are now for the first time experiencing the fact that their memories are not correct. Something has changed. Another popular event is that of “the tank boy”. A protestor went out and stood in front of a line of tanks in Tiananmen Square in China on June 5th 1989. Many people believe today that this protestor was run over and killed by the government tanks. But now we came to find out that he didn’t die. The tanks never touched him. A lot of people remember this event in which the boy was killed and how the backlash nearly caused communism to fall apart in China. This is really strange. It was taught to many people in schools. However, now it is not the case. The boy was never killed unlike millions of people remember it. Another example is the popular cartoon “Looney Toons”. Kids of the 80s and 90s might remember it vividly how it was spelled. However, now if we search it online or watch the old videos it is spelled as “Looney Tunes”. I personally don’t remember it as “tunes” it was always “toons” like short for cartoons. We all know the most famous line from the Star Wars movie, “Luke, I am your father”. But if we watch it now it says “No, I am your father”. He doesn’t say the word “Luke”. If we look up the memes and pictures it says otherwise but now it has changed. People have found changes in other movies like Shazaam, Dirty Dancing and so on. Similarly, according to firm believers of the Mandela Effect, logos of the popular automobile brands have also been changed. That was about the believers of the Mandela Effect. The critics are of different point of view. False memory experts explain the Mandela Effect as confabulation, where different memories get mixed together to create something that a person comes to believe is true. Berenstain would therefore be remembered as “stein” simply because readers have grown up seeing far more names ending in “stein,” such as Einstein. For people who have always misremembered a particular spelling, meanwhile, cognitive dissonance describes the difficulty of accepting evidence that contradicts a deeply held belief. Basically, we’re more likely to trust our fond memories of the Berenstein Bears and believe that Berenstain must be wrong. Confirmation bias then also plays its part: converts to a belief tend to seek out evidence that confirms their belief and disregard evidence to the contrary. It could also be that every Mandela Effect convert was once a skeptic, chuckling at those who believe in alternate universes, until they each had that sudden surprising moment when they came across an example like Looney Toons, which they personally knew with absolute certainly was never, ever Looney Tunes. A strong force driving the Mandela effect is suggestibility, the tendency to believe what others suggest to be true. When misinformation is introduced, it can actually compromise the fidelity of an existing memory. This is exactly why in a court of law an attorney can object to “leading questions” that suggest a specific answer. Although it might be tempting to believe that the Mandela effect is evidence that parallel realities exist or that our universe is a glitchy simulation, a true scientist must test his or her alternative hypothesis by trying to disprove it. In light of known cognitive phenomena that can give rise to shared false memories, it’s highly unlikely that some of us are actually from an alternative universe crossing timelines with the present one. Nonetheless, the Mandela effect is still a fascinating case study in the quirks of human memory. For those who love thinking about how the mind works, it is perhaps even an example of the truth being stranger than fiction. Author: Shabbir AhmadThe author is a postgraduate student at Technical University Munich studying Life Science, Economics and Policy. He is also a freelance article writer/columnist.